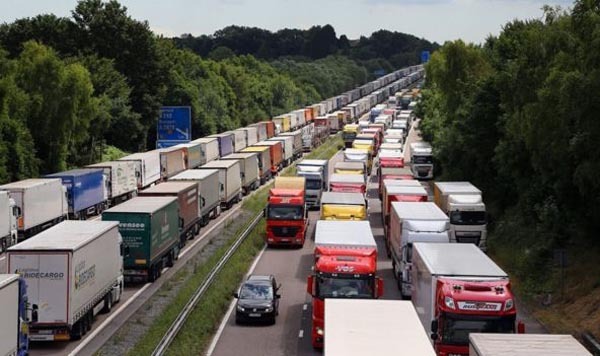 There is an air of desperation in the way "ultras" are attempting to make the case for Calais being ready for a no-deal Brexit, the latest recruit to their cause being James Rothwell, the Telegraph Brexit correspondent. In a report headed: "'More efficient than clockwork'? How Calais is gearing up for a no-deal Brexit", he seeks to convey the impression that the Channel port will be ready for business on 29 March, even though it is clearly the case that it will not. Amongst other things, we are told that "around 200 veterinary inspectors are being hired to carry out checks on food and plants at both the tunnel and the port of Calais", and that they "will begin their training next week". This, however, is not supported by the documentary evidence. The French Agriculture Ministry has deliberately not specified numbers, not knowing at this stage how many vets will be needed. And recruitment interviews have only just been carried out, with a view to starting up training in February. The plans, necessarily, are tentative because arrangements are very far from being complete and, as we left the story, the French government was awaiting the final word from Brussels as to whether it could undertake remote inspection, having already been told by a Commission official that this was not permissible. The site in question is indeed La Zone Turquerie, and Rothwell tells us that "diggers are laying the groundwork for a warehouse complex for inspectors and a lorry park, where those lacking the correct paperwork will be diverted after Brexit". If all goes to plan, Rothwell says, the complex – which spans 40 hectares and costs around €20 million to build – "will insulate the port and tunnel areas from delays, averting the nightmare scenario of trucks being trapped in long tailbacks around the town". To put this to bed, Rothwell relies on Jean-Paul Mulot, a spokesman for the president of the Hauts-de-France region, who says he was "confident the new complex would be ready within 11 weeks". That, to put it bluntly, is an absurd claim. A Border Control Post is a complex building, with multiple refrigeration requirements, which must be finished to full food safety standards. It is not within the realms of possibility that such a building could be commissioned within such a short period. But then, if we go to the same Jean-Paul Mulot, he was on record on 9 November. But then he was saying that "We are ready to go with pre-built temporary installations, which would cost around €20 million, but permanent structures would cost much more". This meant it was unlikely that Calais would be able to start building the infrastructure until December, meaning some aspects of controls and new administrative sites "won't be in place for March 29th, the day the UK is scheduled to officially become a non-EU state". If a deal is agreed, a transition phase will effectively extend the departure date until December 2020 and give French officials more time but, said Mulot, "In the case of a no-deal, we will not necessarily be ready, but we will not close the ports". This then fits with the Statement of Pierre-Henri Dumont, a deputy of the 7th district of the Pas-de-Calais, who in a report published by the French Senate on 21 December, told us that the customs infrastructure "will not be ready in time for a no-deal Brexit on 30 March 2019". Against that, of course, we have Jean Marc Puissesseau, President/Chairman of the ports of Boulogne and Calais. Revisiting his interview when he told the Today programme that, "for the 29 March, we will be ready", if we go further into the interview, we find him being asked whether the absence of delays applies in all scenarios – a deal or a no-deal. Intriguingly, Puissesseau responds by saying it will not make any difference, "because there will not be a no-deal". Therefore, he can easily say that the port will be ready on 29 March because he does not believe it will ever be called upon to put the claim to the test. He does admit, however, that there will be "veterinary and phytosanitary control", for which he claims, "we have already been building infrastructure and parking". What he doesn't say, though, is that this is only at the groundwork stage, and the government has yet to get approval from Brussels on the siting. Nothing of this is mentioned by Rothwell, who has spent his paper's money on going to France, where on a "chilly, raining evening in Calais hundreds of lorries are feeling their way through the dark into awaiting freight containers and ferries". He might have done better had he consulted evidence in the public domain, but that isn't what the Telegraph is about these days. It has an agenda and, for the purpose of this evening's vote in the House of Commons, it wants to project the view that a no-deal Brexit is a safe option. Interestingly, the BBC is on the case with its irritatingly smug Reality Check, asking: "Could leaving with no deal cause traffic jams?" This is a fair enough question, and I've already suggested several times on this blog that there is no intrinsic reason why we should see traffic stacking up. It all depends on the advice given to transport operators by the government, the nature of the traffic management plans adopted, and the view taken by the transport operators themselves. A huge amount will depend on the advice given by our own government. If it takes a cavalier attitude and misleads transport operators as to the severity of the checks they will experience, we could find transport flows heavily disrupted very soon after 29 March. However, one might expect shippers to have a good idea of what will and will not be acceptable for export to EU Member States. In anticipation of certain goods being rejected, they might ensure that these were not consigned in the first place. Rather than finding traffic building up at the ports, therefore, we might find that traffic is untypically light, with few delays and no resort to traffic management schemes. In these circumstances, the penalty will not be time lost in queues. It will manifest itself in a severe curtailment of the volume of goods exported to EEA states, with consequential financial losses. And, with the inability of UK suppliers to meet continental demand, some of the losses may be ongoing. As for goods coming into the UK, we have already been led to expect that there will be no additional controls imposed on goods coming from EEA states, in which case there are unlikely to be any delays to inbound traffic, or to vehicles clearing Channel ports. In terms of spectacle, Brexit day and the few days thereafter may prove to be non-events. If this is the case, we are unlikely to see any shortages of food or other essential supplies – at least in the short-term. But there will be plenty of news, as the media is forced to record the cries of anguish of companies suffering financially, with substantial job losses as a high number go out of business. The one thing transport operators would be unwise to rely on is assurances from local politicians in the port regions – especially French politicians such as Jean Marc Puissesseau, who are desperately anxious to prevent loss of trade to perhaps better-prepared ports in Belgium and Holland. Specifically, when it comes to the nature of the checks that will be carried out, their conditions and frequency, these are determined by central governments in accordance with EU law. Neither port operators nor local or region government have any say in the matters. And then, if the facilities are not ready, there will be no throughput at all. Having regard to the multiple uncertainties, those who trade with Europe might be advised to emulate some of the car manufacturers and plan to shut down international transport operations on Brexit day and for the weeks immediately afterwards. There are, in fact, indications that this is what might happen. Many firms are stockpiling goods both sides of the Channel, and slowing down or diverting production to reduce the dependence on internationally-traded goods. The immediate impact of Brexit, therefore, will be largely invisible, the "hit" confined to business balance sheets. And, with imports largely uninterrupted, and export flows curtailed, we might even see some consumer prices drop as produce originally intended for export is diverted to the UK domestic market. To that extent, some of the claims of the "ultras" about "project fear" and overblown scare stories might appear justified – even if the queues don't materialise for reasons entirely different from their projections. But what they will not be able to conceal is the massive economic damage that this nation would suffer. Whatever the "ultras" might want us to believe therefore – with or without the assistance of their fellow travellers in the media – there is no possible way that no-deal is a penalty-free option. In truth, we cannot even know for sure whether it is survivable.